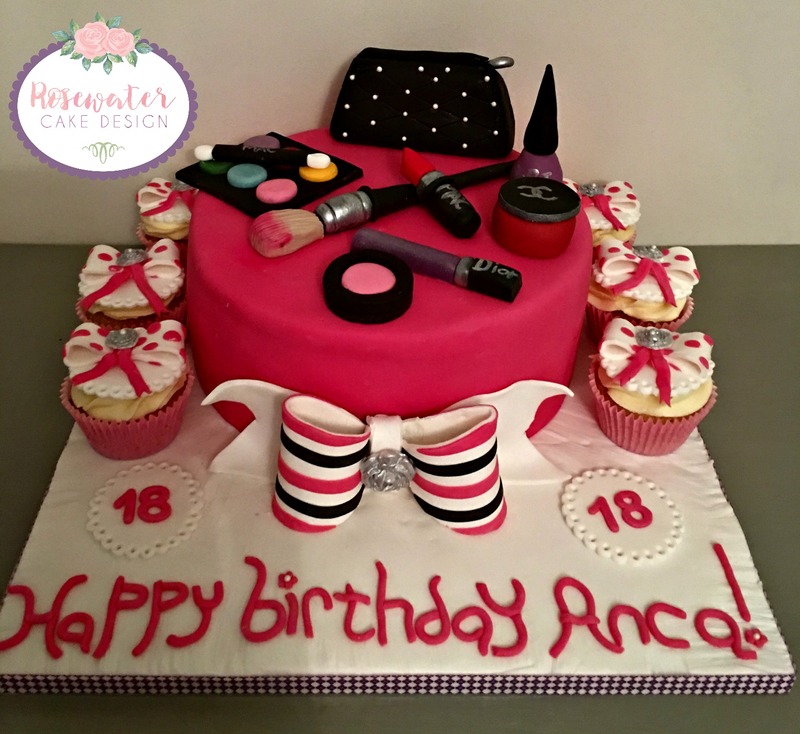 Christenings, Baby Showers, Cake Smash Photoshoots, Birth Days, Retirement, Bar Mitzvahs, Bat Mitzvahs, Farewells, Graduations, Groom's Cakes, Hen Parties and Anniversaries (to name but a few). Whatever the occasion, I can make a cake that will reflect the lucky recipient's favourite tastes, personality and hobbies. Let your imagination run wild! An extensive range of flavours are available, including vegan, wheat-free and egg-free options. Please have a look under the flavours section and choose your favourites. PLEASE NOTE: PRICES LISTED BELOW ARE JUST A GUIDE. THE FINAL PRICE WILL BE BASED ON THE COMPLEXITY OF THE DESIGN AND THE TIME NEEDED FOR COMPLETION. These cakes are crumb coated and covered completely in buttercream. No longer is buttercream outdated and old-fashioned! 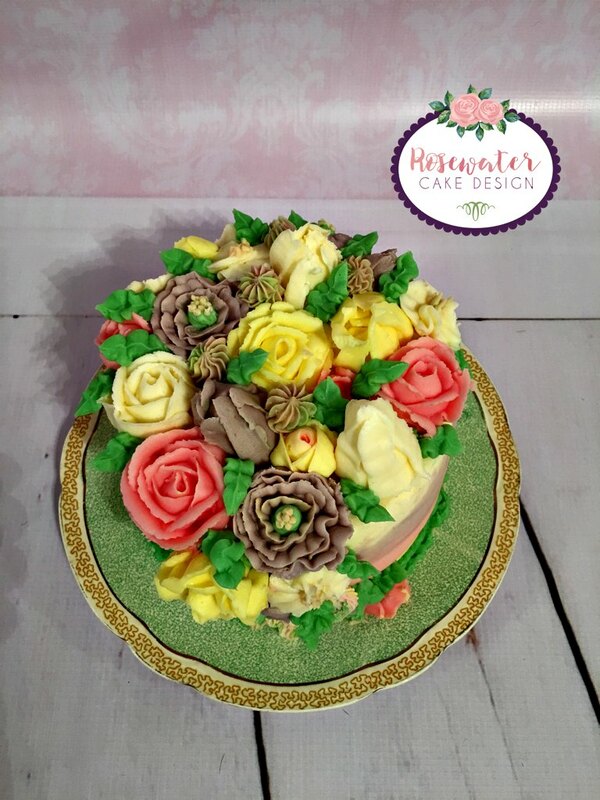 I can create a a beautiful bespoke cake for any occasion using only buttercream to cover and decorate with. 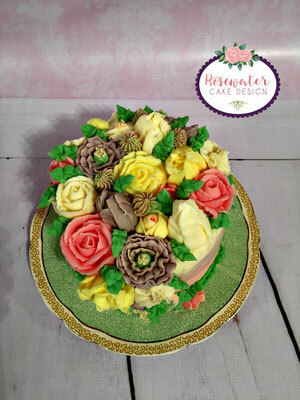 Have look in the gallery for buttercream inspiration! Please visit the portion guide as an estimate of the number and size of cake servings. Please make sure you read the terms and conditions for all information on deposits, timescales, delivery, setup, cancellations, alterations, final payment and allergens! 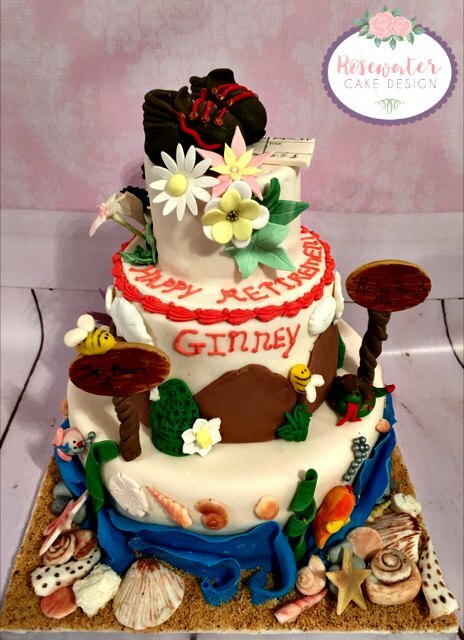 These cakes are crumb-coated with American buttercream and covered with Couture fondant. Have look in the gallery for some inspiration! Please visit the portion guide as an estimate of the number and size of cake needed. All wedding and multi-tiered cakes are crumb-coated with your flavour choice of chocolate ganache and then covered with Massa Tincino Tropic, the Rolls Royce of fondants. The ganache coating supplies a smooth finish and sharp edges. It also adds to support the structure of the tiered cakes and the Massa Ticino Tropic fondant (on top of the ganache) provides a smooth, flawless, modern, simple elegant cake finish that can be showcased on its own - for understated elegance or to showcase fabulous decorations.